LG Hotel grade Full HDTV. Supersign ready. Full LED HDTV. 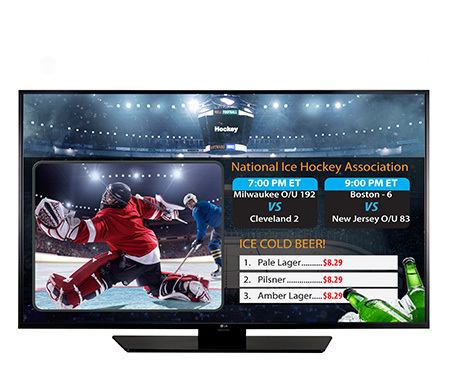 Supersign ready TV’s give users the ability to run banners on up to 50 TV’s at once. Arrange content and billboards without any additional hardware required.